The company is the trustworthy Manufacturer, Exporter and Supplier of high quality Ammonium Bisulphate available in industrial grade. Ammonium Bisulphate that we offer is a white crystalline powder that is carefully formulated in our advanced production unit. Our Ammonium Bisulphate is free from impurities and available in safe packaging. 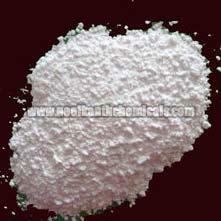 It is widely used in fertilizer, as a weaker alternative to sulphuric acid and various others.